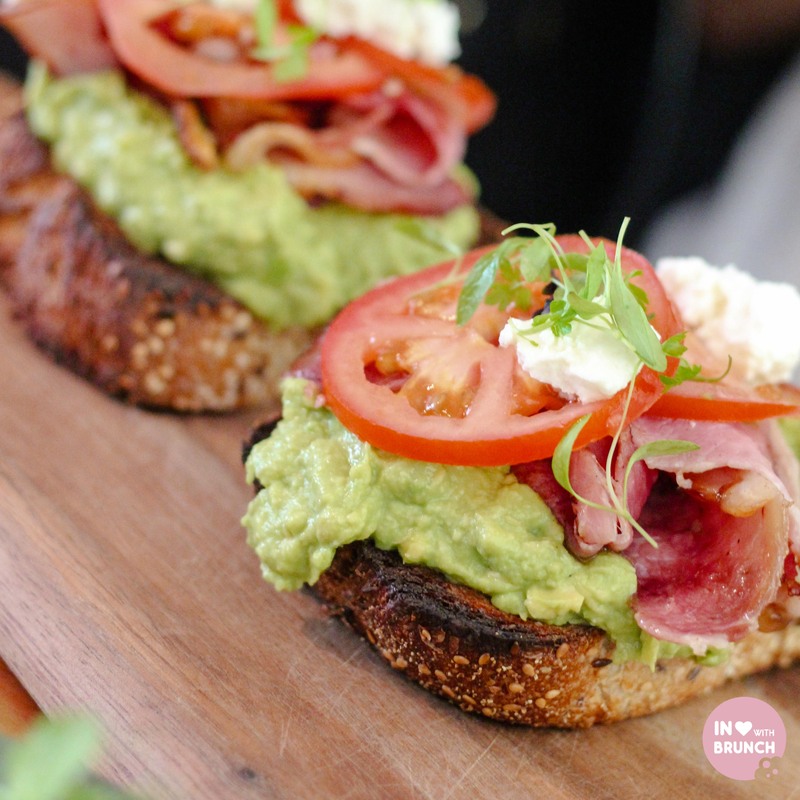 the melbourne food scene is passionate about artisan produce! we love to celebrate a finely-honed craft; a dedicated or unique chef; or a boutique establishment that stays true to a unique and special food offering. 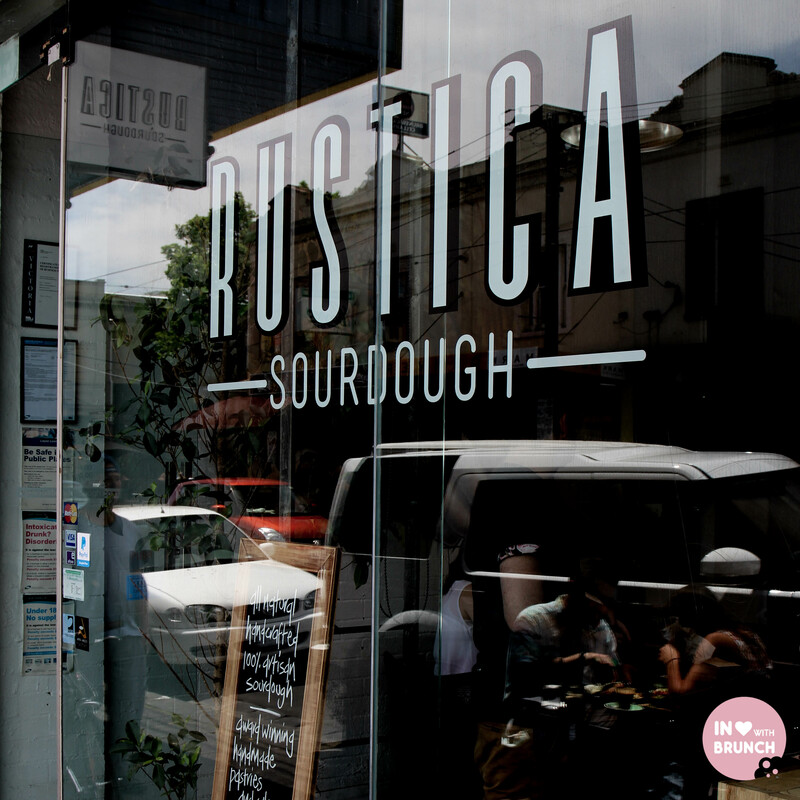 enter rustica sourdough… the word on everyone’s lips when it comes to finely baked bread and boutique bakery-cafes in melbourne. 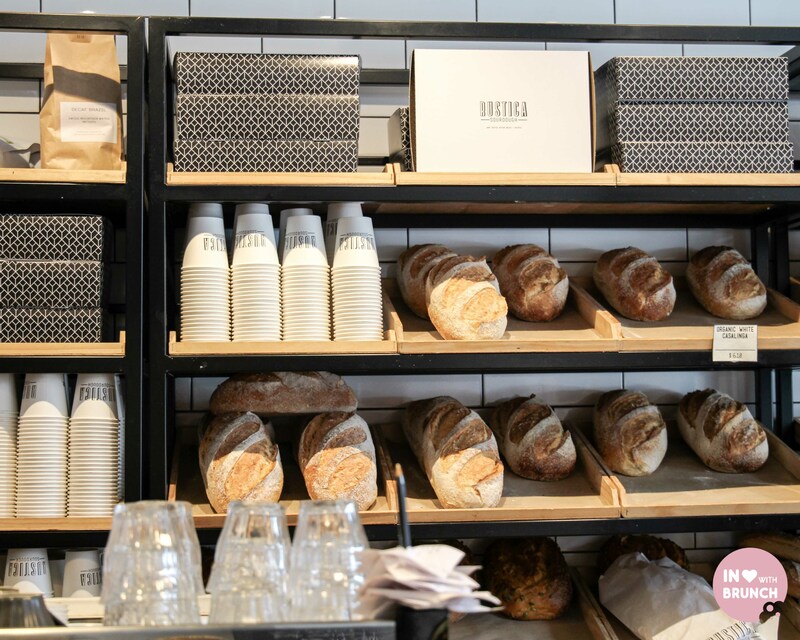 this brunswick street bakery has been open since april 2012 and offers freshly-baked artisan bread, cakes and mouth-watering pastries seven days a week. sourdough breads are baked using traditional techniques and almost everything on the menu is cooked onsite. our visit a few weeks ago has us sitting at a table right against the large open window looking into the baking area meaning we were able to watch the delicate touch and care taken in preparing finely decorated eclairs and pastries. 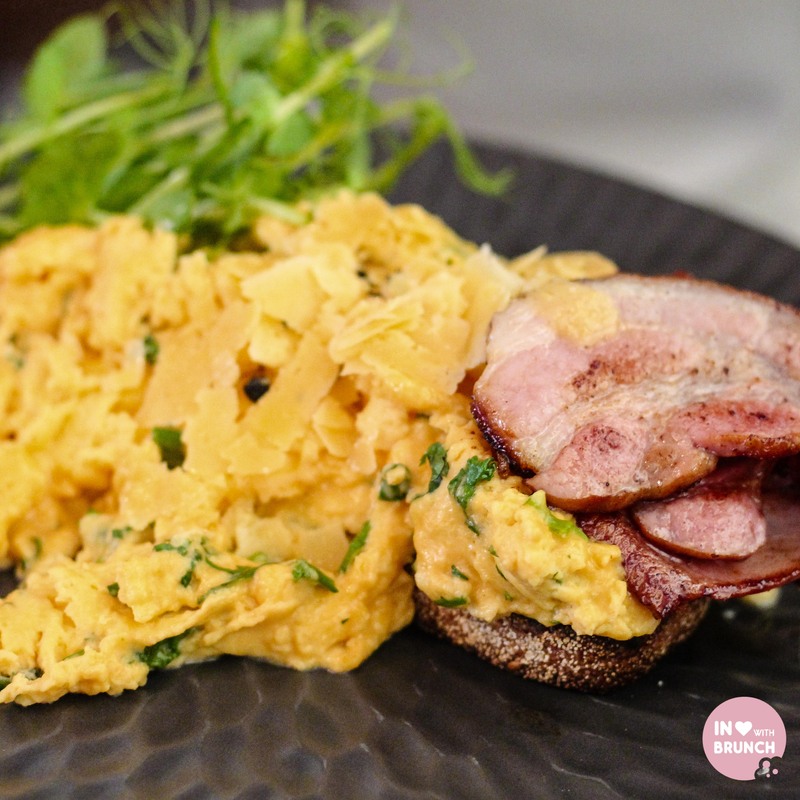 as you would expect, the brunch menu heavily features rustica’s breads combined with a good mix of egg, sweet + savoury dishes; as well as featuring speciality “roast craft coffee” and a selection of freshly made rolls and sandwiches for lunch. all produce used has an emphasis on local and fresh, aiming to support sustainable farming practices. 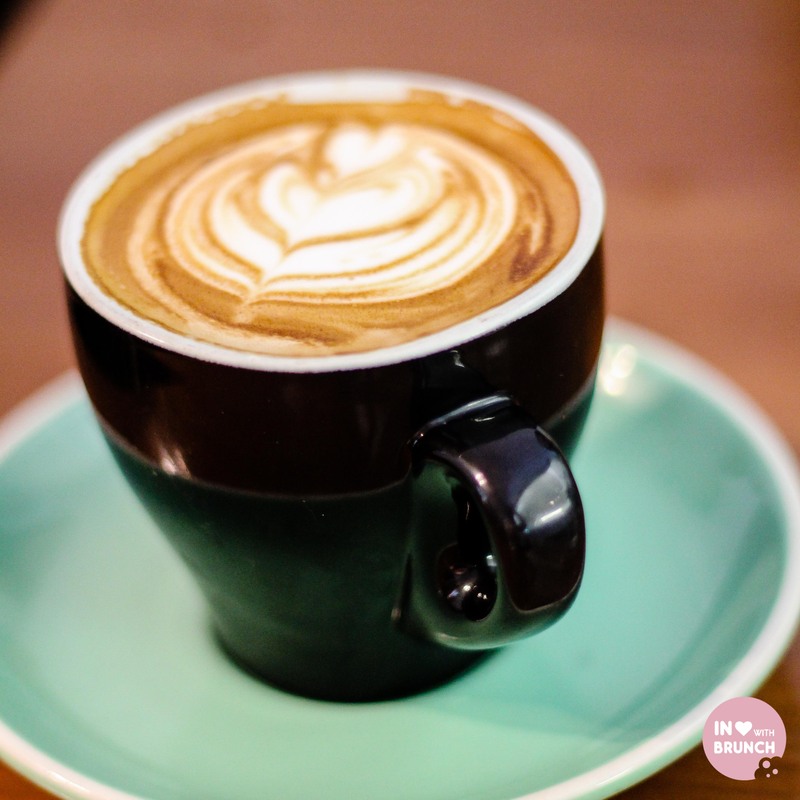 roast craft coffee are dual-champion and multi-award winning australian coffee roasters who are committed to producing high quality and consistent roasts. my flat white was strong + vibrant – just what i needed after an early airport run to pick-up my little sister who was visiting for a few days. a hugely generous serving, there was no way i was able to finish this dish (and still have room for a cronut). flavour-wise, the eggs were creamy and paired well with the sharpness of the pecorino. and there was no doubt that the sourdough was tasty. however, my biggest gripe is the supposed ‘chilli’. either i’ve developed an incredible palette for spice in the last couple of weeks… or this dish didn’t have skerrick of chilli in it. and given it there was not chilli visible either, i’m opting for the latter. it certainly didn’t resemble anything of the amazing chilli scramble i tried at ‘a thousand blessings’ a couple of weeks before. that said, as a plain scrambled eggs… not bad. another generous serving, this dish was a unique take on an avo smash. the addition of fresh tomato as opposed to roasted, added a nice point of difference and the sweet basil really lifted the dish. once again, the bread was lovely – fresh + soft with a good crust. overall, i thought the brunch menu was fair and quite well executed (except for my missing chilli). but i wasn’t so keen on the 40+ minute wait for our dishes and 15+ minute for coffees. the café was busy, but not totally flat out, and overall i felt that things could’ve run a bit smoother and quicker including the service from the waitstaff. each were amazing and it’s easy to see what all of the fuss is about now! 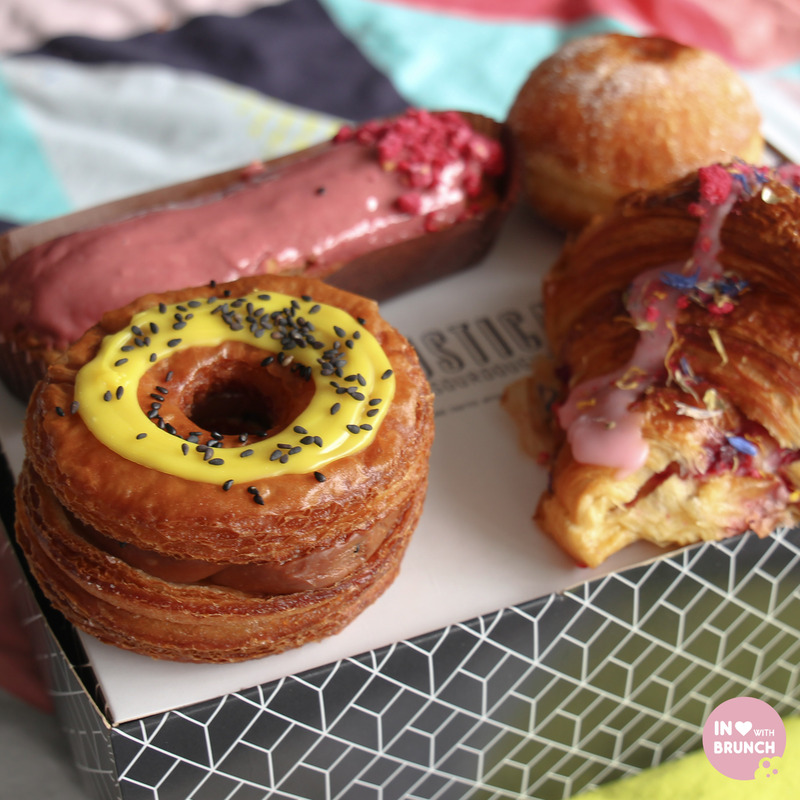 my favourite without a doubt was the cronut – layers upon layers of thin buttery pastry + a lovely tang from the citrusy passionfruit. 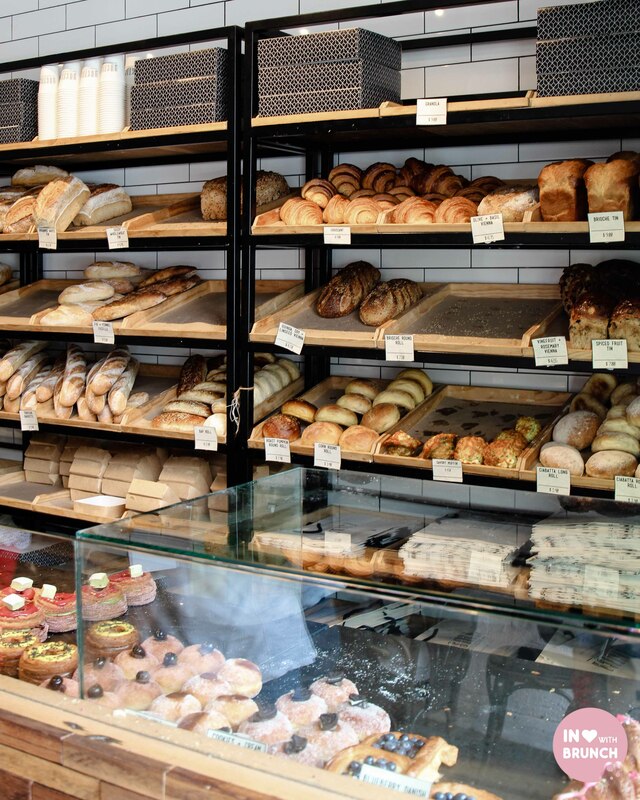 you can also pick up a wide array of freshly baked bread, rolls + slices. city workers will be pleased to know that there is also a cbd café now open at guildford lane… thankfully that bit too much of a walk from my office, otherwise i think rustica would be a daily occurrence! 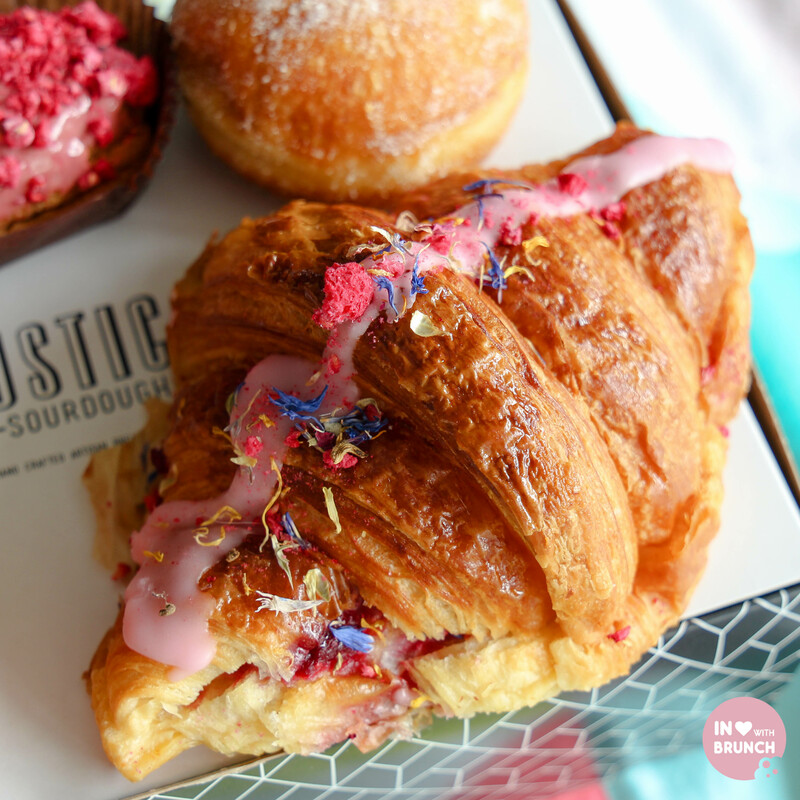 verdict: who can resist freshly baked artisan bread, cakes and mouth-watering pastries seven days a week? not me! 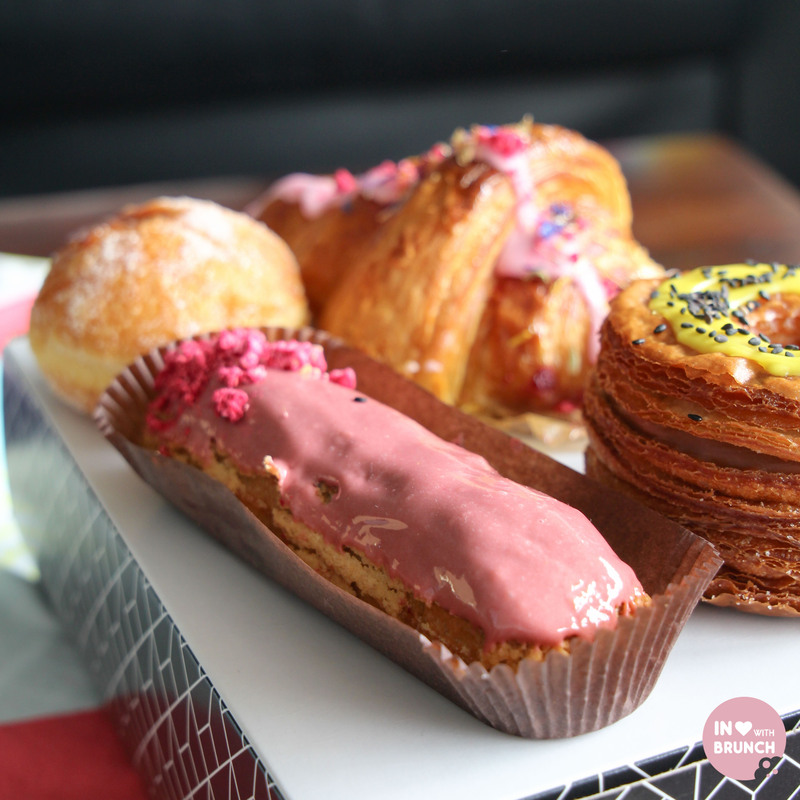 I have so much love for their pastries! 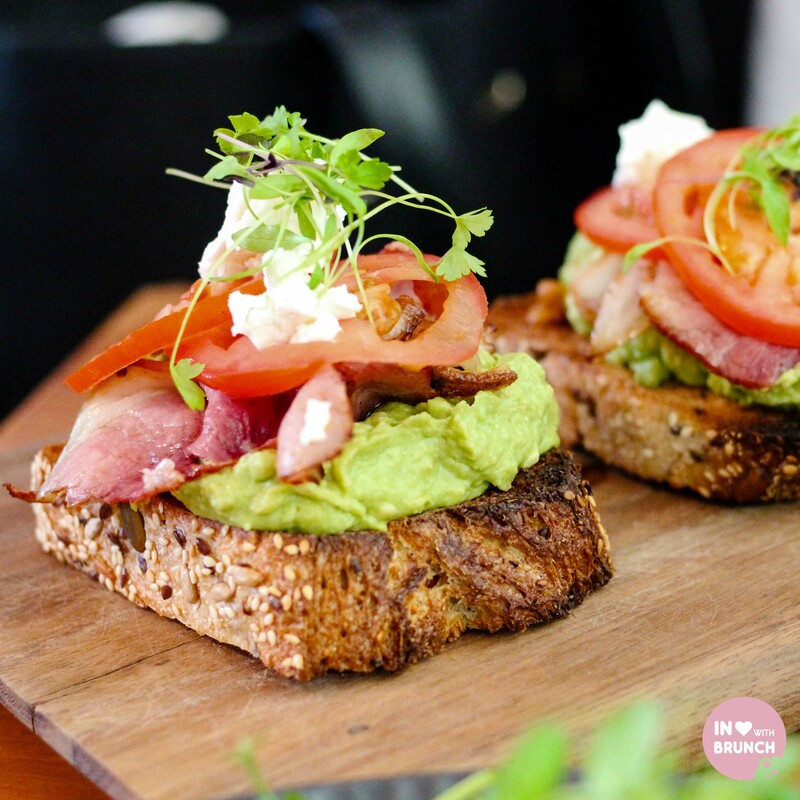 But I still haven’t actually had breaky there… that smashed avo and grandmother ham makes me feel like I should… just not real keen on waiting that long for food!